There is no question why The NYWinterfest has taken the world of playwrighting and Musical festivals by storm, becoming one of the largest festival in the country in just 5 years. Best Original Play, Stage Manager and Set Designer $200. All genres are welcome, including MUSICALS. Don't forget to email specialoppscode@gmail.com to get the special discount code for 20% off this month's Special Opportunity! rEvolver presents adventurous, high energy, and sophisticated new work by emerging companies and artists, bringing audiences the full range of contemporary theatrical practice, from script-based theatre to devised and site-specific works, staged readings of work-in-progress, and in-depth discussions with artists. Eligibility: We invite submissions from artistically and culturally diverse companies and artists from across Canada to have their work considered for presentation. We are particularly interested in original productions with running times of 50 - 90 minutes but any running time will be considered by the jury. Categories: We strive to offer presentations that appeal to a variety of demographics and reflect cultural and artistic diversity. We invite emerging professional artists of all ages, abilities, cultural practices, ethnicities, socio-economic status, genders, religions, and sexual orientations to apply to participate in the festival. The FOURTH annual Biggest Little Theatre Festival at Brüka Theatre is seeking submissions for original theatre pieces showcasing traditional and nontraditional performances. We are a small festival, to date, featuring local and regional performers and performances in our downtown Reno space. We currently use one venue (our sub-Bruka space) that seats up to 44 people. Eligibility: Pieces must be between 40 – 55 minutes in length. Set up/Strike time is 15 minutes in 15 minutes out. Shows should have their own: Stage Manager/Cast/Crew/Director. The cast should not exceed 8 people. The show should have basic light/sound cues that can be achieved in our downstairs space. The light set up will suitable for all shows to work with without re-focus. Each show will receive one tech/dress in the space. The rest of the rehearsals should take place in an alternative space. If the play is licensed, the performing groups must obtain and pay for licensing fees prior to the performances. Eligibility: New, previously un-produced full-length plays from literary agents. If no agent, submit a letter of inquiry along with a synopsis and a 10-page selection from one of your plays. Eligibility: Full-length plays that deal with contemporary Jewish themes that have never been produced in New York City. Metropolitan Playhouse, New York's OBIE Award-winning explorer of America's Theatrical Heritage, is currently accepting submissions for new plays inspired by the life and history of New York's Lower East Side. Submissions will be evaluated by Metropolitan's artistic staff, and we will produce up to 10 of the submitted plays in April 2017, as part of our 8th Annual East Village Theater Festival. Eligibility: Plays MUST pertain specifically, though not necessarily exclusively, to the East Village and Lower East Side of Manhattan. Categories: New plays no longer than 30 minutes that can be played by 5 or fewer actors. Theme for 2017 Chronicles is Prosperity. 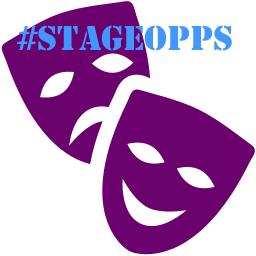 MultiStages, a multicultural, multidisciplinary theatre company located in New York City, is seeking original, unproduced, high quality full-length multidisciplinary plays by established and emerging writers for its eighth New Works Contest. The Contest Winner will receive a Workshop Staged Reading with professional actors or a Fully-Staged Production at a reputable theatre in New York City under an AEA approved code. The Finalists will receive a Staged Reading with professional actors in the New Works Festival. Eligibility: Original, unproduced, high quality full-length multidisciplinary plays by established and emerging writers. Production Dates: Rehearsals begin Oct. 24; runs Nov. 23-Dec 23 (Thurs 7:30pm, Fri 8pm, Sat 3pm & 8pm, Sun 3pm with special Performances: Wed Dec 7, 7:30pm & Fri Nov 25, 3pm) at Chance Theater in Anaheim, CA. Production Dates: Rehearsals begin Sept. 12; runs for six weeks beginning Sept. 24 for two performances a week in NYC. The Shakespeare Theatre Company, a multi venue LORT B+ theatre in downtown DC, seeks a full-time House Manager. The House Manager provides service for the audiences at performances and events, trains and supervises part-time staff and volunteer ushers, and serves as the main contact for patrons and theatre staff during performances. Evenings, weekend, and daytime hours are required. Eligibility: This position requires a high level of face to face customer service, human resource management, and an ability to multitask. A valid Driver’s License, ability to successfully complete CPR/First Aid training, and previous professional theatre house management experience is required. Experience in Tessitura ticketing software preferred. Full-time, year-round, with excellent benefits. The Town of Danville seeks qualified theatre technicians to run sound and lighting for shows year-round at the Village Theatre. Eligibility: Oversee and assist renters and various user groups during events in theatre facilities. Operation of lighting and/or sound equipment. Box office duties, including reporting and cash handling. Maintaining and keeping facility clean and in good working order during and after events. Work flexible hours including weekends or holidays. Able to lift 50 pounds; carry 30 pounds. Perform duties within OSHA standards. The Jonathan Larson Grants are intended to honor and recognize emerging musical theatre artists. Composers, lyricists, and librettists who work in musical theatre are the focus of the grants. ATW is committed to serving artists who are creating new, fully producible works for the theatre, and advancing the art form. The grants do not honor a specific piece or project. Eligibility: Individuals may apply as lyricists, composers, librettists, or any combination of the three. Collaborative teams may apply together as composer, lyricist, and/or librettist, or any combination of the three. Collaborators who work together regularly are strongly encouraged to apply as a team. If your collaborative team has more than three individuals, please contact the ATW offices. Atlantic Center for the Arts is an innovative nonprofit artists-in-residence program that provides artists with an opportunity to work and collaborate with some of the world’s masters in the visual, literary, and performing arts. Since the program began in 1982, over 3500 artists have been served from the US and around the world.